The property is with executive location, right in the heart of Hanoi. 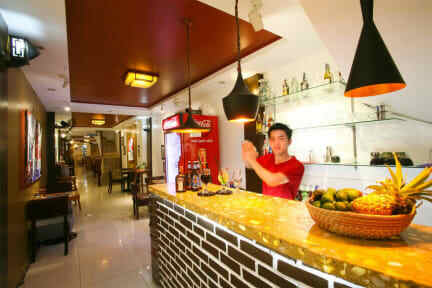 It is splendidly located on one of the renowned 36 ancient streets, within walking distance to all the main attractions as restaurants, bars, shopping & business centers, sight seeing venues & entertainment. The property offers the best convenience to explore the beauty of boutique Hanoi. With 25 spacious luxurious guest rooms, fully renovated with an exquisite mix of antiques and up to date furniture and fixtures, the Hanoi Summit Hotel provides the ultimate accommodation and comfort,and stunning city’s life. It allows you to capture fantastic images and also have quiet rest at best time. 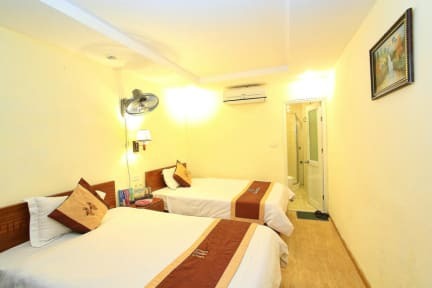 The property offers 4-bed mixed dorm, double room, twin room and family room (with 2 double beds) to meet guests' different needs. Zesty is right on the Old Quarter. It's staff is really friendly and willing to help with any questions or concerns. The breakfast is delicious and it comes with coffee. The room are quite and comfortable. I recommend Zesty Hostel. Perfect location in the heart of Old Town. Very helpful staff. Private room had air-conditioning. Room was a little stuffy as it had no window, but other than that everything was great. Greeted by a really friendly man. All the staff really friendly. Free breakfast in the morning. Relatively clean. Beds were comfortable and the hostel was in a good location. Pleasantly surprised by Zesty. We booked last minute, looking for a cheap double room, and this place was ideal. Perfectly situated for the old quarter. Comfy bed, decent shower, fridge in the room. Staff were friendly and helpful. No real atmosphere as such, and facilities were minimal, but sufficient. Also, must say it was one of the best breakfasts we have had in Vietnam! Would recommend, and would go back. The staff are really lovely and the hostel is in a great location (would say it’s more of a hotel vibe though). Great value for money! Had a slight problem with our room but staff were very helpful. Comfortable rooms in a good location and free breakfast was good. If you want a cheap double room in the Old Quarter, this is the place to go. Beds are comfortable, bathrooms clean with separate, hot showers. Breakfast is the usual bread with eggs. It isn't sociable and lacks atmosphere, but if you are after a double room, you don't need friends. We stayed here more than once in our time in Hanoi. It was comfortable and good value for money for the area. Only problem with the second stay was the mouldy and smelly room, it was only for one night though and we couldn’t fault the other stays. Just a shame for this stay, we were disappointed. Breakfast is good. Showers are hot. Staff were nice, but room was dismal. Bed was fine but very firm mattress, walls were covered in spill stains. Room had a fan and AC which was good. No window in room, only window looking into hallway where the light was on all night so it wasn’t very dark to sleep. Wasn’t terrible but wouldn’t stay again. We were very disappointed with our stay here. We had 2 rooms over our stay. The first had broken aircon upon arrival, only 1 set if working batteries to share between the A/C & TV remotes and a large cockroach for company. The second had a shower with a large broken crack and after use, worms crawled out of the wall tiles/floor. Upon complaining, we were only offered a mere 70,000VND ($3) off our total charge. Only plus was that they let us cancel to book a lovely boat stay at Ha Long Bay.